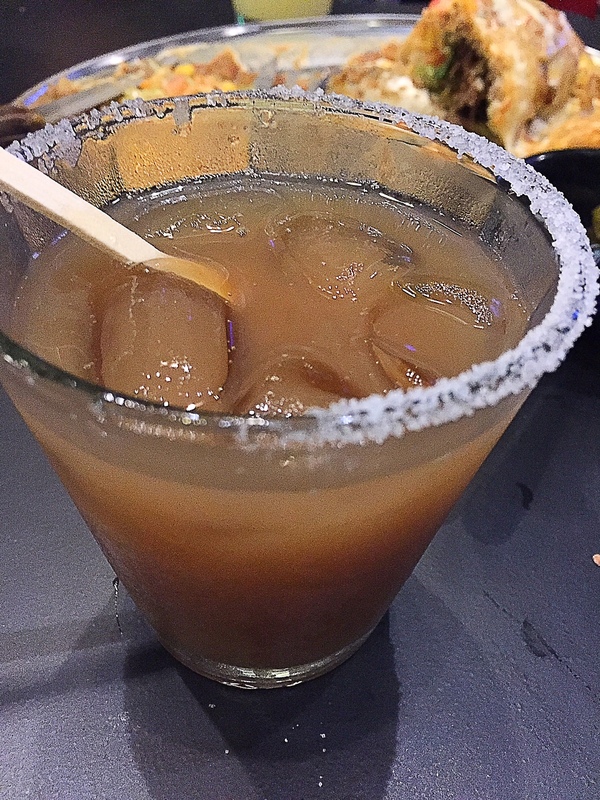 Meet the Tamarindo: Sampaloc & Tequila … What’s Not to Love? I made a new best friend last night. Her name is Tamarindo. 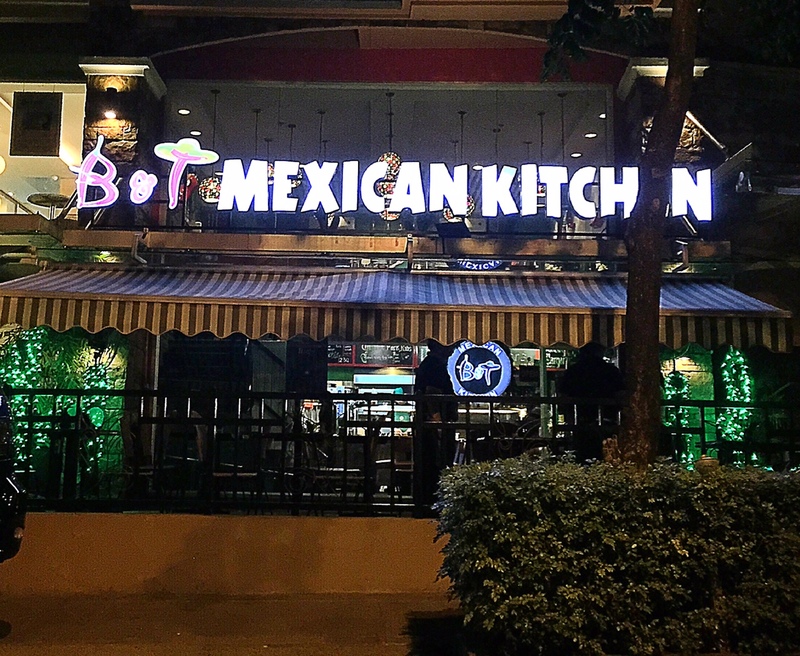 She was introduced to me at B&T Mexican Kitchen in McKinley Hill. Just awesome. That gentle sweet and sour of tamarind (sampaloc) mixed with tequila. It will make you say “Te Amo” in no time! The restaurant is their latest baby. They already have 6 children and a chow chow so this would be their Baby No. 8! The food is by their son Philip, who trained at (his own words on their Facebook page – love his sense of humor!) “school of hard knocks kitchen streets of Texas, San Diego, Orange County”. 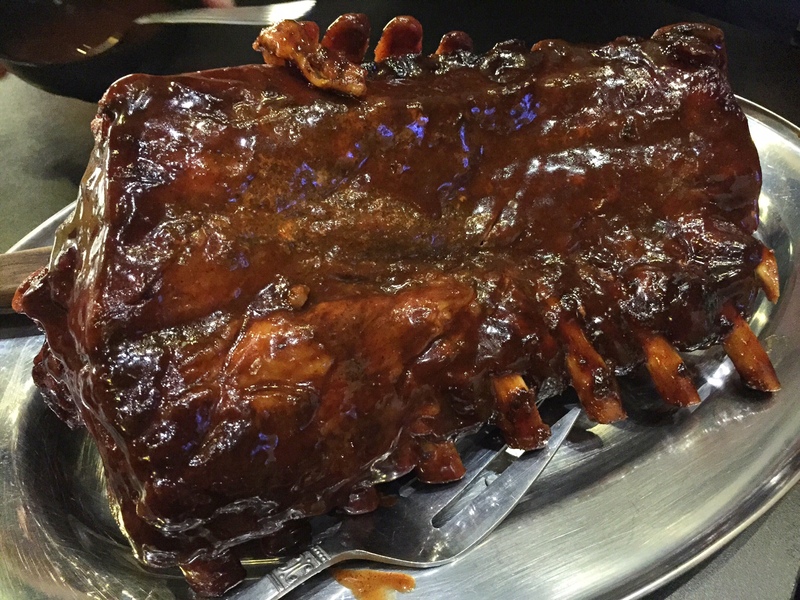 But there are also certain dishes by Lady Baby herself, such as these ribs that are oh so fall-off-the-bone tender. And huge!!! Good for six. Philip, meanwhile, specializes in tweaked Mexican specialties. 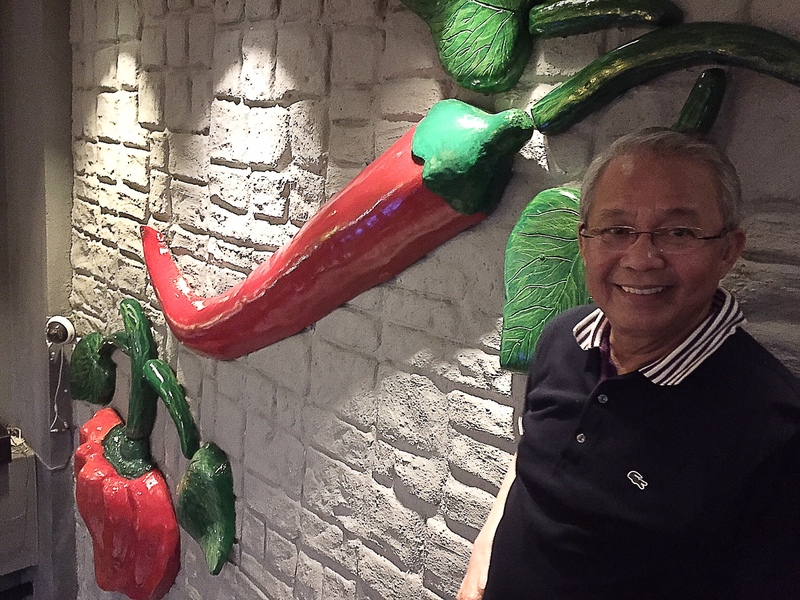 He got the best of Tex-Mex and tweaked it to cater to the voracious Filipino eater. 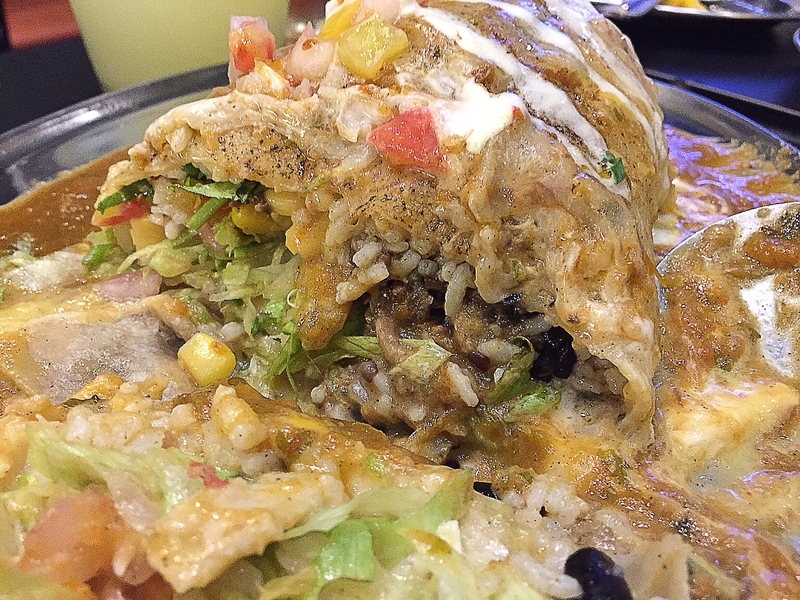 For example, instead of just a regular burrito, which the menu also offers, they have something called a Wet Burrito. This is huge (good for 2 hefty eaters or 4 persons with regular appetites). 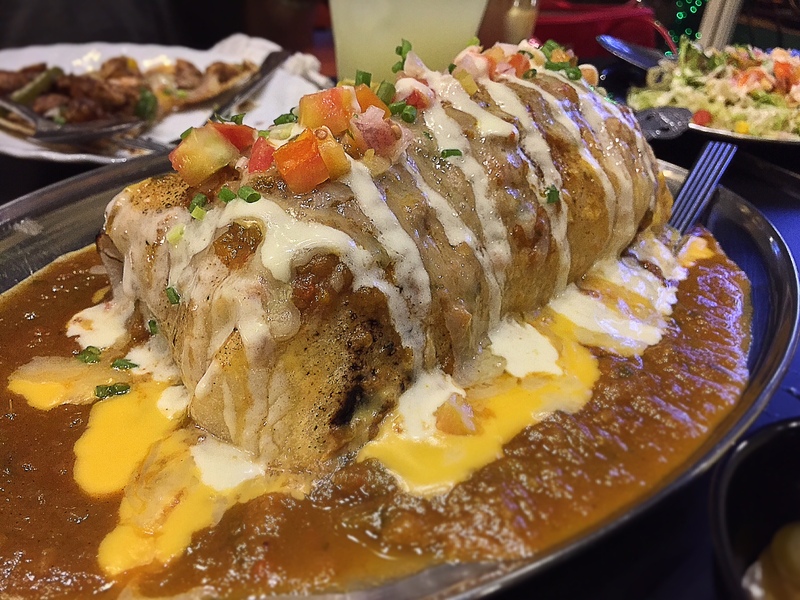 But Philip first makes a regular burrito, bakes it, then “wets” it with their ranchero sauce and a variety of cheese. 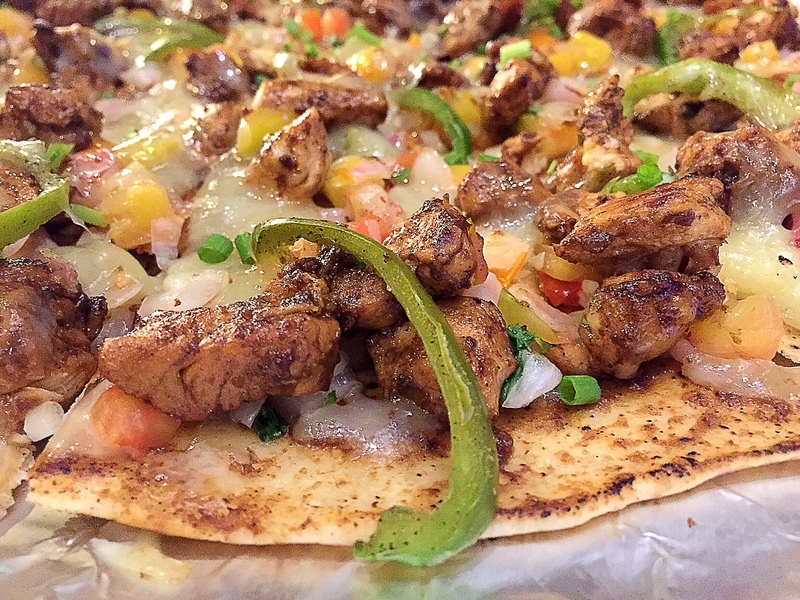 Philip also has a unique Mexican take on pizza where they use chicken and bell peppers – ingredients you’d see in a burrito – and interestingly, the burrito dough is what they use as crust. 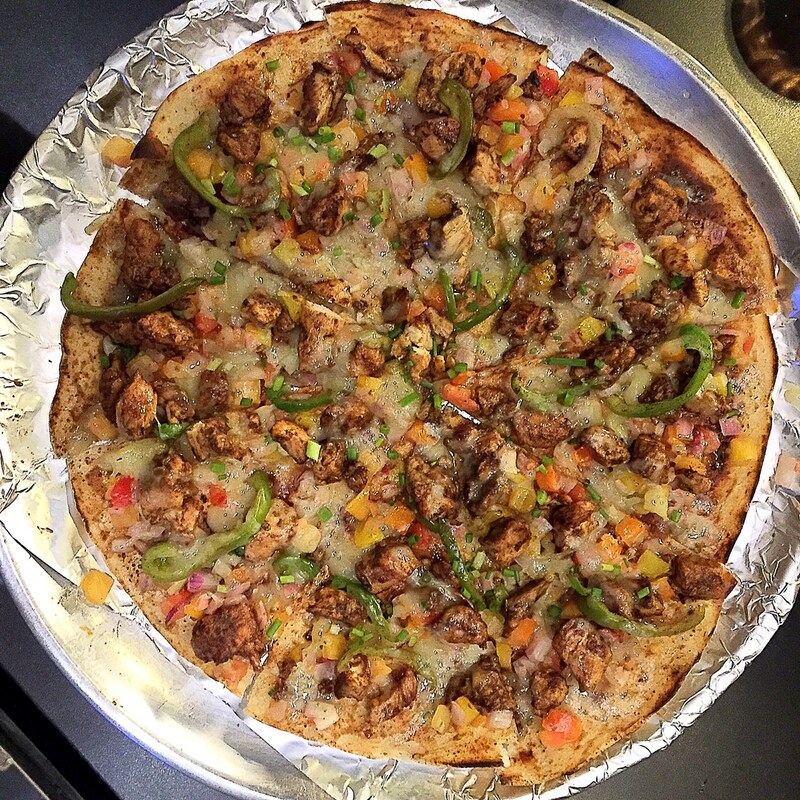 For the Pinoy palate, the crust is nice and thin and crispy a la Shakey’s. Perfect with an ice cold beer! 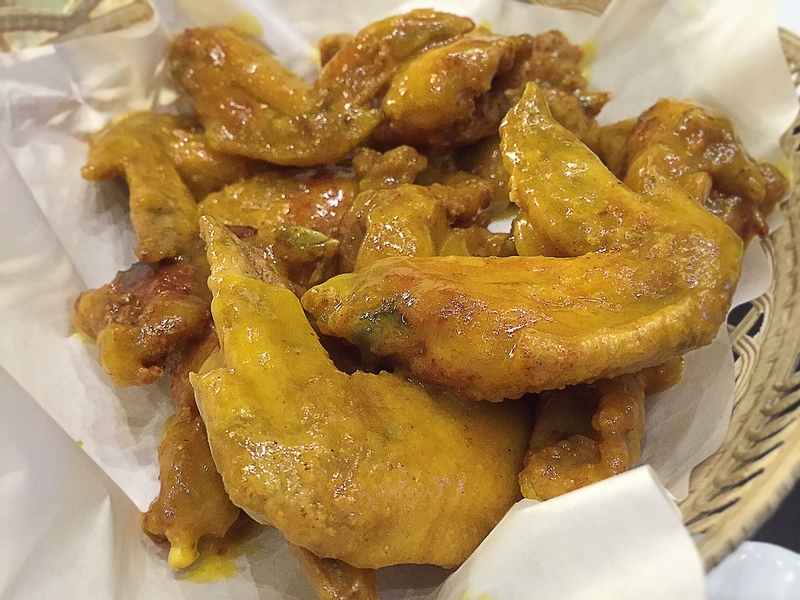 For chicken wings, Philip uses mango instead of honey. So there is the tart sweetness of mangoes as you bite into the cripsy skin of the wings. 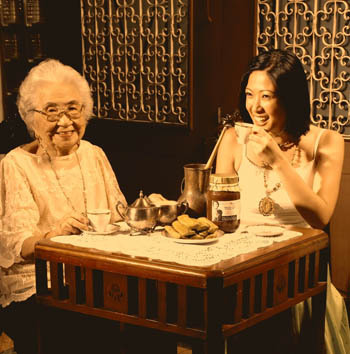 There is one more person who has played a great role in setting up this restaurant and that is no less than Dr. Ed Tan himself. 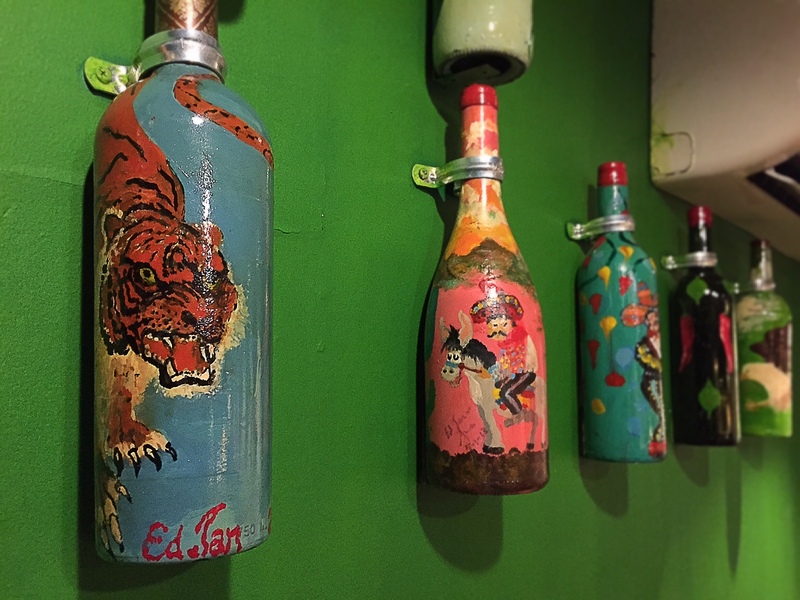 Now that he is retired, he has time for other things … such as art! 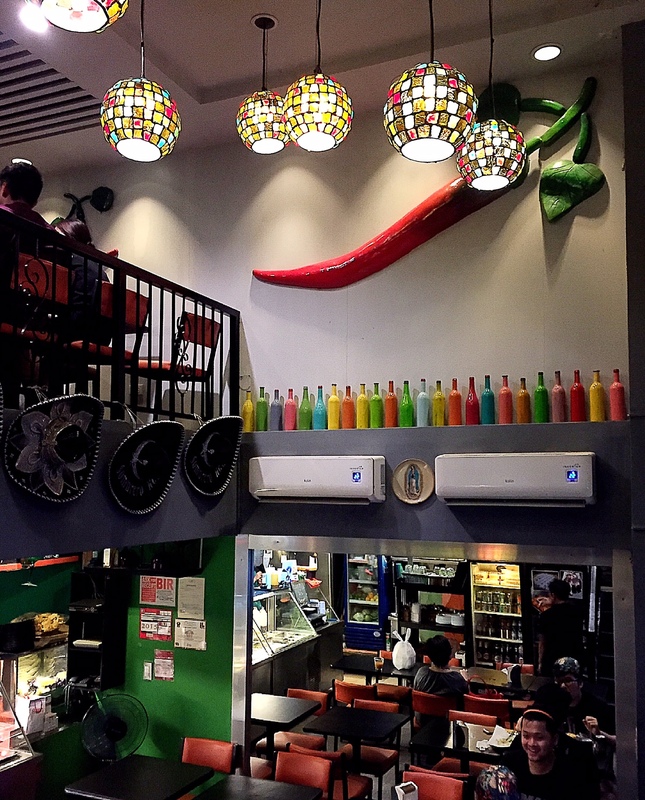 Would you believe he made these giants chili sculptures for the walls? 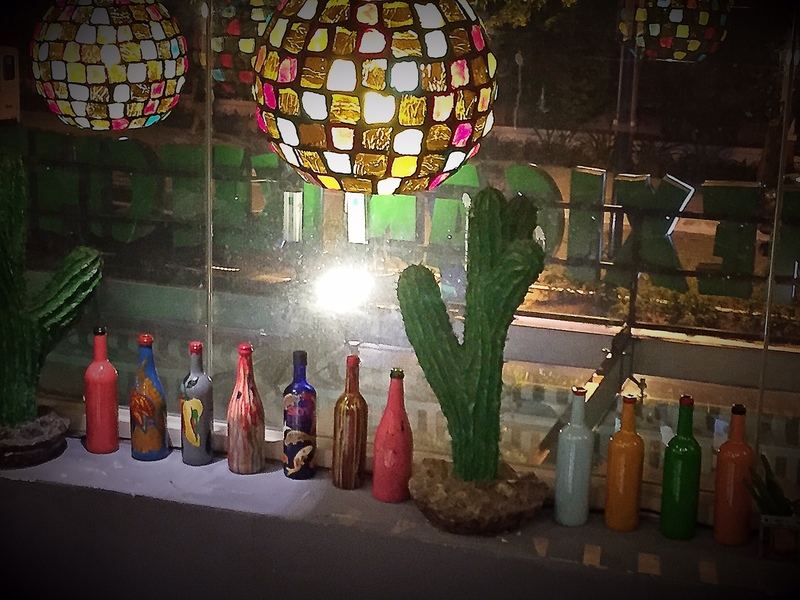 There’s more to discover at B&T Mexican. I had always just driven by their Greenhills branch (although this one I visited is in McKinley Hills where Banapple and LES Bagels is located). Now I think I’ll actually pop in. I need more of that Tamarindo!! !